Unless otherwise stated, photo provided by Spinners Bunny Shop Hop! From the creators of the 37th Annual Spinners Pumpkin Patch Arts & Craft Show... 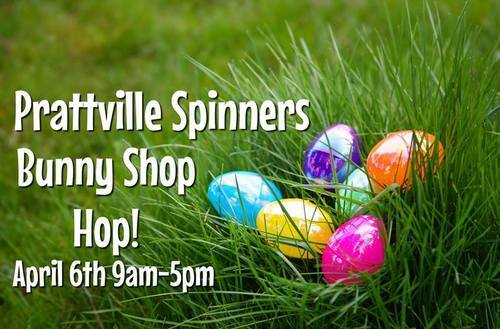 It is time for our 1st Annual Spinners Bunny Shop Hop! April 6th 9:00 am-5:00 pm Vendors from all over the Tri-County Area will come to Prattville, Alabama to sell their products and services to the river region locals. Food vendors will be available to the shoppers. It is the perfect opportunity to shop for Graduations, Weddings, and Mother's Day. We are planning an Egg Hunt for the kids. So, bring your basket and get ready for FUN! Prattville is located in the Montgomery & Selma Region of South Alabama. Be sure to check out places to Go, Eat, Stay, and other events in Prattville.